SEO has come a long way from where it was in the days prior to Google’s Penguin update which neutralizing the common practice of buying lots of links that all used similar “head term” anchor text. In addition to devaluing efforts around websites using spammy tactics to rank on single keywords, Google also rolled out “Rank Brain” shortly after which used artificial intelligence to parse the intent of a user’s query and match them with the best results in real time. In the years since both of these changes, the idea of building SEO efforts around matching content and keywords to user intent has been consistently gaining in popularity. 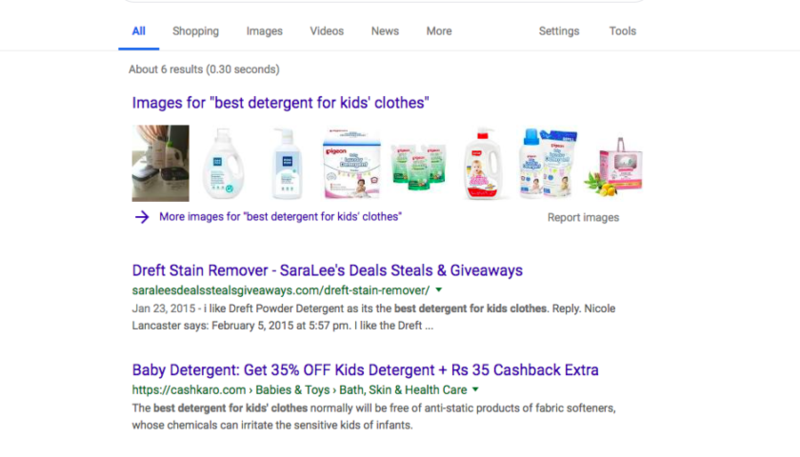 However, it’s not just user intent that one needs to be concerned about, but its also what Google perceives the intent behind the query to be that matters the most. If Google has determined that when users search a certain string they are looking for a specific type of results, EVEN IF THEY ARE WRONG, it will be impossible for a piece of content that does not match that intent to rank on the term. This will likely be the case even with exact match content and the best links. 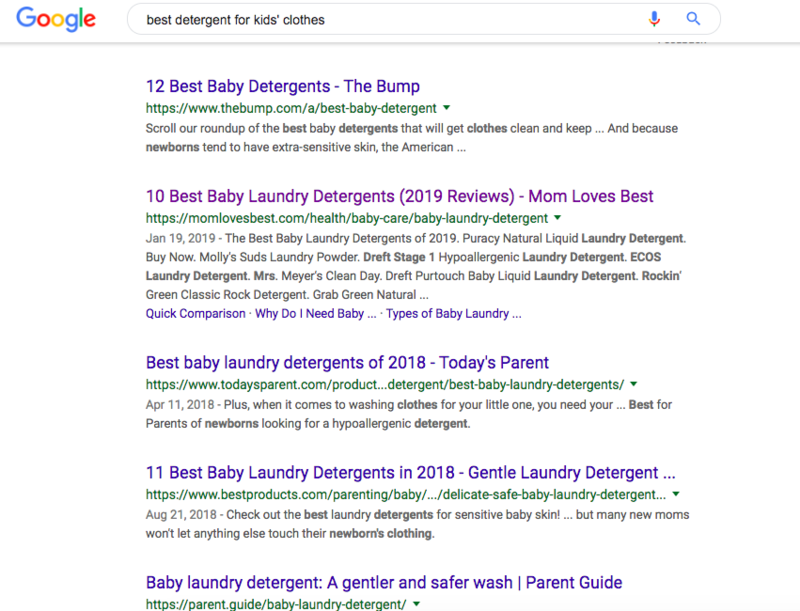 To illustrate, I conducted a query for “Best detergent for kids clothes” and my results were all focused on detergent for “baby clothes” which is only really even a synonym for “kids clothes.” For my query, Google has determined that the intent of the query to be one for baby clothes. 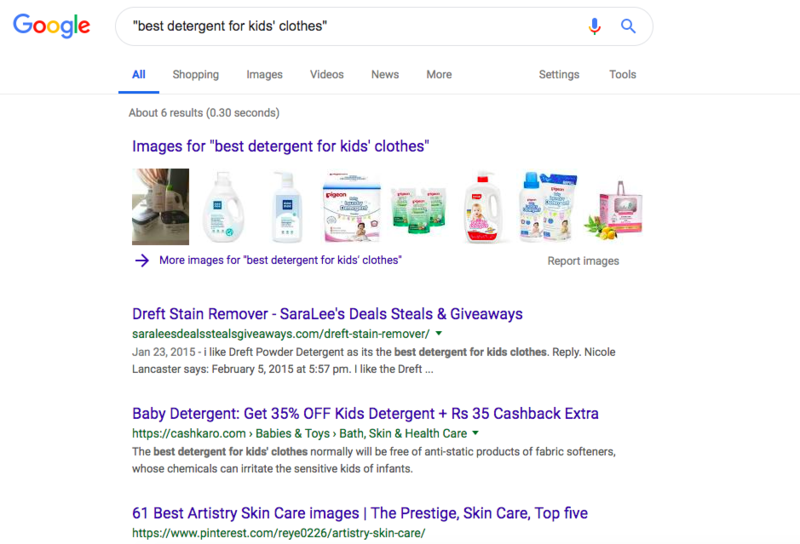 Only when I search for my query into quotation marks does Google even show my results that use my specific keyword of kids clothes. The key takeaway here is even beyond what I wrote last year on the hidden keywords in a query. In this case, Google is completely modifying the query string to match an intent they have predetermined. 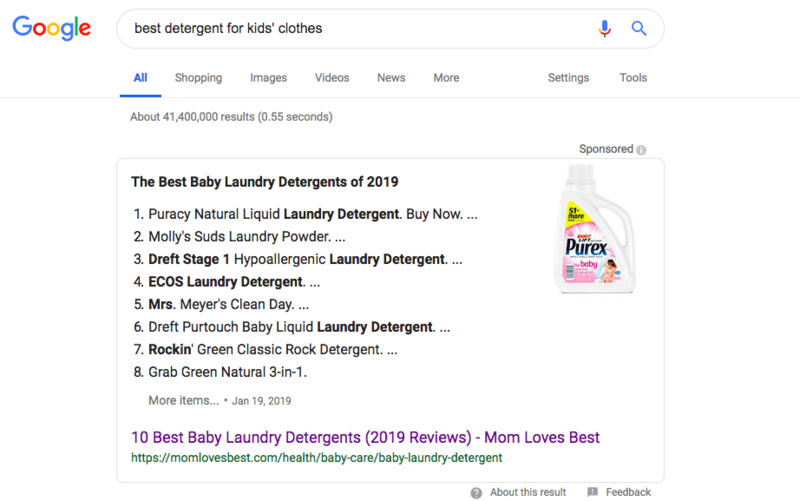 This means long gone are the days where one can build a keyword list simply based on search volume, you actually need to find the queries that meet what Google believes to be a match for your product set. For now, the only way to even know the intent Google has chosen is to conduct a manual query for your targeted query. If anyone knows another way, please let me know!